You can get excellent tacos during the daytime in Eagle Rock. No, not the bastardized tacos at Taco Spot . 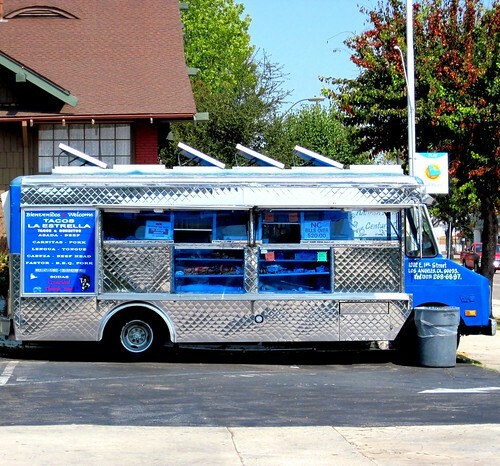 I am talking about the La Estrella taco truck parked at the Valero gas station on Colorado Blvd. 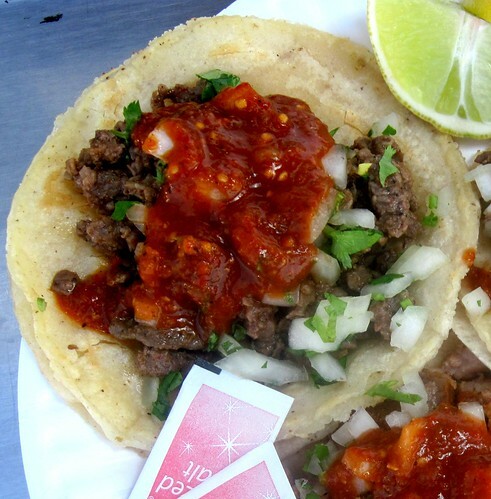 The chile salsa roja and the carne asada and al pastor tacos dance on your taste buds. There’s just enough grease, just enough heat. 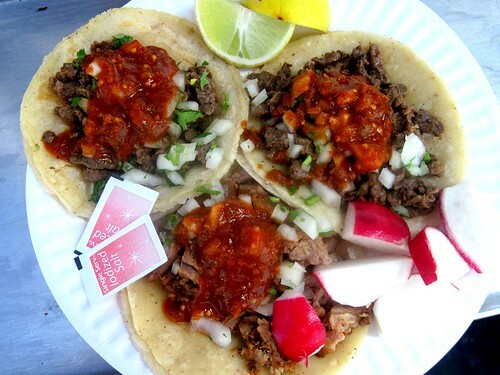 One could eat only at La Estrella taco stands and taco trucks and never have a wandering eye. There is a uniformity at all the La Estrella trucks that is impressive. This mini-chain has put their stamp on the east side. If it’s La Estrella , it’s quality. The asada is tender with a smoky bite to it, the al pastor juicy and flavorful .It’s the best al pastor I’ve had that didn’t come from a roasting spit. Is it even al pastor? I’m not sure. I think it’s more carnitas in it’s texture. Eagle rock has quite a few excellent taco trucks. 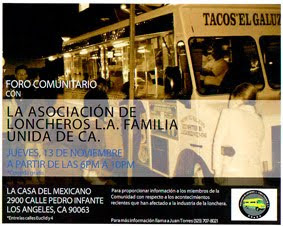 The only trucks in the area that are out both daytime and at night are La Estrella and Gorditas Lupita. I’ve yet to eat at Gorditas Lupita, I only know them by their excellent reputation as the place to go for gorditas(the food!). At night the roster of excellent taco trucks expands with Leo’s, Rambo’s and Sonia’s.Rambo’s is similar to La Estrella in it’s simplicity- meat,onions,cilantro, salsa. Both Leo’s and Sonia’s top their tacos with guacamole. I enjoy both the simple taco and the more hearty guac- taco. Leo’s is a favorite of local Occidental College students for his $1 tacos stuffed with meat, salsa and guacamole and $3 burritos. On the old blog I reviewed both Rambo’s and Leo’s. It’s probably about time to check out the night taco scene in Eagle Rock again and see how Sonia’s and Leo’s tacos compare.